If sage Valmiki were to revisit the 21st century, he would perhaps be pleased with his namesake, Valmeeki Books, the virtual publishing house. While the former is celebrated as the harbinger-poet of Sanskrit literature, the latter is virtually redefining the vernacular publishing space. Valmeeki Books is an app that helps unknown and lesser-known vernacular (and English) authors in getting their works published. a�?The idea came about as a result of our huge appetite for reading and observing the shifting habits among the present generation to read content on the go,a�? says Kuruvilla Chacko, co-founder and managing director of the publishing house. Valmeeki started as a social venture in 2015 to promote new talent, and provide readers with raw, authentic vernacular content. But in this age of millenials where patience levels are fizzier than soda, the team behind Valmeeki Books exercises extreme discretion in selecting work for publishing. a�?Content is scouted keeping in mind modern mobile reading preferences. Our mobile app acts as the primary distribution channel,a�? says Chacko. 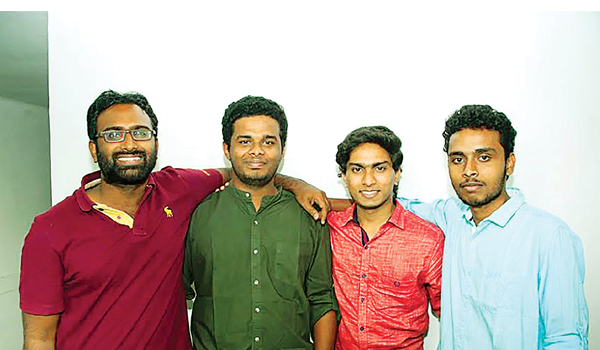 Since the launch, Valmeeki has vaulted from representing a handful of Malayalam writers to 400 writers from Kannada, Hindi, Tamil and Malayalam. The company was initially incubated at Kitco Techno Lab in Kochi for three months and then the team moved to NUMA Bengaluru. a�?This city is the place for people who want to create a legacy as much as we do. Ita��s multi-cultural and therefore it allowed us for better product testing, additionally, there are a good number of mentors, investors and well wishers who want to be part of a startupa��s journey,a�? says Chacko, who worked on this idea with his core team of founders a�� Suhair Zain, director, R&D, Vishnu GP, director, technical and Vishnu M Unnithan, director, operations.Today, with a user base of 10,000 and NASSCOMa��s Startup of the Year Award-IT-2015-16 to their credit, the team says therea��s more to come. Like Farhan, you too have sung your own parts. How was the experience? Your upcoming slate of films is rather diverse. Yes. Half Girlfriend, directed by Mohit Suri, is going really well. This is the third film for Mohit and me (after Aashiqui 2 and Ek Villain), so ita��s like home ground, yet we both have evolved a lot. Hea��s a good friend besides being a director. 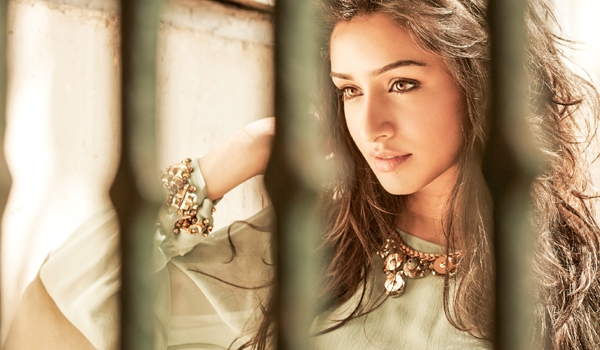 Half Girlfriend has been shot in Delhi, Mandawa, Cape Town and New York City. After finishing that, I will start promoting Rock On!! 2 and then Haseena will start shooting in December. OK Jaanu with Aditya Roy Kapur is a remake of (Tamil film) OK Kanmani, and is directed by Shaad Ali. That releases next year. I picked up those specific skills because the film needed it. It all begins with the director telling you how prepared you need to be. Also, the audience can spot a cheat. Of course, there are other times when the audience cannot point out a cheat, but that is the magic of the filmmaker where he can execute something and make it look real and authentic. I have been very excited to learn something new with every film. Even as a kid, I was always very adventurous and wanted to be physically engaged. Any physical preparation affects your mental prep, too. The longest I took was for ABCD 2. That took a few months because I had to come across as a professional dancer. I did 15 basketball classes to prepare for Half Girlfriend, which was enough to be able to do certain things that would make me look like a player. For Ek Villain, I learned to ride a bike and I had to be skilled enough to ride with my legs up. Ita��s a different thing that as soon as they called cut, I fell right off the bike! But at least it was a good take. For Baaghi, while I didna��t have to do as much as Tiger (Shroff), all the dance training helped with the martial arts training. much as possible to self-educate. Do you feel that star kids have it easier in our dynastic film industry? I love spending time with family and friends, I enjoy a good book, and watching documentaries and movies. If I had time, I would travel more. I enjoy food. I used to be very interested in gardening, but now I dona��t have time for it. I used to grow things in my balcony, like tomatoes and chilies, and liked getting my hands dirty. I also doodle. I really like getting involved in household and grocery-related things. I am always checking what vegetables are in the house and if there is fish for my father. I enjoy getting things done for people. Ita��s fun. My director, Mohit Suri, teases me saying I would make a very good production manager. Rock On!! 2 is scheduled to release in November. Ia��ve never wanted to go to Singapore. To me it has always been a land of fines and corporal punishment. And as a guy who has always lived on the edge, I guess ita��s only understandable that I wanted to give it a miss, specifically the threat of caning. To my pleasant surprise, on my visit last week, I realised it was nothing like I had imagined it to be. But hey, with cigarette butts on the street, drunken guys on the road and hawkers you could bargain with, I felt totally at home. I also never dreamt that my first night out at the iconic Clark Quay would be the night they chose to shut power down for maintenance. Load shedding in Singapore? Woot! As a result, we were redirected to an alternate venue. Given that the whole city, including extended family, could be reading this column, and given the fact that two out of three people Ia��ve told this story to have already been to this place, let me sum up my night out in this Bangkok-like setting in just two words: Crazy Horse. Bangkok-like: this allows me to jump across the bay and casually mention the unveiling of a�?Bangkok With Lovea��, a collection by Minnie Menon Jewelry, with a ballet performance by Amla Aina, a Karun Raman-choreographed fashion show and even a pair of cufflinks exclusively designed for the genial chef Rajesh, GM of the Parka��the same venue I had stumbled across on a random Friday night, where a band actually walked in and set up at midnight. Full marks to Ryan and the Undercoversa��a band you can see only in the blue light of the Leather Bar. But I digress. Where was I? Ah, Singapore! And Smiggles. A cool, funky designer brand that has captured the imagination of children who want to buy stationery by the school bagful. Oh, and there is a Build-a-Bear, too. Another wallet-destroying franchise that makes you want to scamper back to mommy in Chennai. Strange Lion Fish and Large Island of Entertainment nonetheless, Singapore is no longer the a�?Toyoto Cara�� city from the 1979 Kamal-Rajini starrer, Ninaithale Inikkum for me. And just like that I woke up and September had endeda��a dream month for entertainment junkies in Chennaia��and we steel ourselves for the October twists ahead. Scientists from Mauna Loa Observatory in Hawaii just announced that the Earth has crossed the 400 ppm carbon emission threshold permanently. This landmark announcement proves that time for drastic change and an overall environmental awareness is not just an abstract idea anymore. At a time like this, Air-Ink comes as a breath of fresh air, quite literally. Graviky Labs, a spin-off from MIT Media Lab at Massachusetts Institute of Technology, has created tech that captures soot emissions from vehicles and creates carbon- based pigments, which can then be used to make different types of inks and paints a�� that is Air-Ink. a�?Our current focus is to reinterpret environment conservation through fusion of science and art. We aim to develop technologies that have net-positive impact on our environment,a�? says Anirudh Sharma, co-founder and director of Graviky. This is how it works. They use their creation, called Kaalink, to capture the emissions from vehicles. The contraption is fitted onto the exhaust pipes of vehicles. 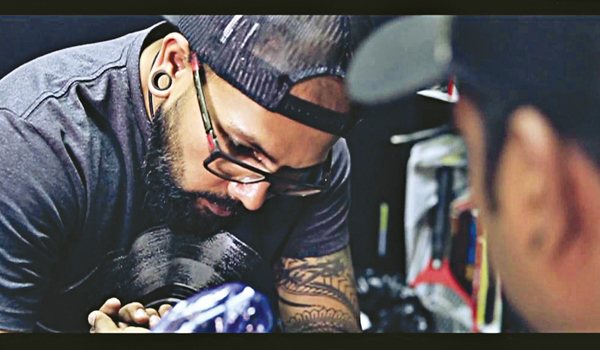 The trapped material then undergoes chemical processes and is made into ink. a�?There are many variables and challenges. Right from figuring out how to operate under different climatic conditions and different types of exhaust pipes to the removal of heavy metals and dealing with carcinogens,a�? explains Nikhil Kaushik, another of the co-founders. The paint has so far been used in Hong Kong by seven artists who did a street art project against air pollution. Their products will be available for purchase soon. It is so important to fail. Failure instigates the successful person in you. Ia��m glad I failed many times as it has only helped me view the environment I work in with more clarity. My journey with failure began as far back as the early 90s, when I dropped out of engineering. It was one of the easiest decisions Ia��ve ever made, but of course, the consequences were tough. I sometimes feel that radio is like an orphanage. A place where the shunned and the abandoned find refuge and then learn to steer their lives. When you do a dipstick survey as to how many radio presenters have a degree or formal education after school, there are a few who have medals and graduation pictures, but the majority have dropped out of college and walked straight into a studio. While some of us radio presenters (academic drop-outs) have considered our stint on the medium as a second chance from the divine, a lot of presenters out there have taken the opportunity for granted. It shows when they are heard on-air and seen on social media. Their false pride coupled with a bloated ego is palpable. These individuals have obviously not respected their own failures, else they wouldna��t sound the way they do both on and off air. It is so important to balance attitude and confidence, so you as a presenter dona��t look like you are the brand ambassador of ego. When this does not happen, you find presenters weeping and ranting when asked to vacate their seats. The very same people sometimes bounce back and become humble individuals, as they would have learnt from their mistakes. Every radio presenter needs a fall from grace in order to be error proof and have clarity of thought. You cana��t be a great mariner if you are sailing calm seas. The same applies for radio presenters, too. Take a step back, introspect and cherish the times when things crashed around you, when you failed. They made you stronger. 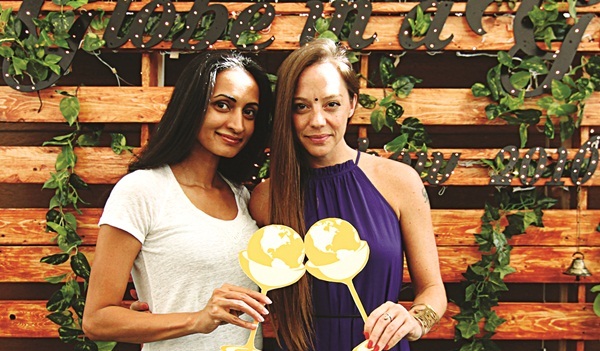 When Safdhar Adoor and Dawn Thomas, the founders of SteppinOut, were only 17 years old, they threw a party for their friends. The party was such an unexpected success, it caused a traffic jam on Brigade Road for hours. This was what sparked the idea to start an event management company with their friend, Sharath Rice. 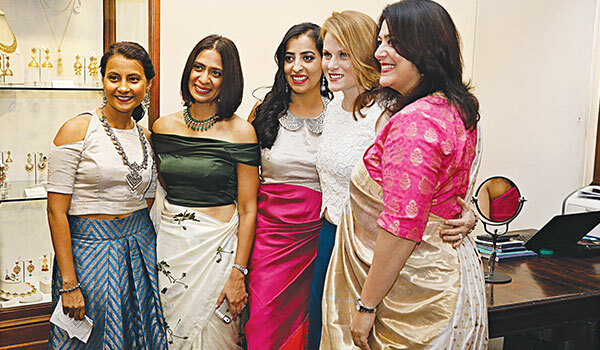 Today, that company has evolved into its current avatar which curates unique events in Bengaluru. a�?Our USP is that we create events that havena��t been thought of or executed before,a�? explains Adoor adding, a�?We’ve co-produced the biggest concerts that have happened in the city.a�? Their most popular event is the SteppinOut Movie Nights, an open-air movie screening under the stars, with movies like The Lion King and Dilwale Dulhaniya Le Jayenge being screened so far. Another successful event is the SteppinOut Food Festival which aims to bring great experiences under one roof for the urban food obsessive. They have also co-produced concerts like Hardwell, Avicii, Armin van Buuren and Deadmau5 among others. They believe Bengaluru is a great place for a platform like this. 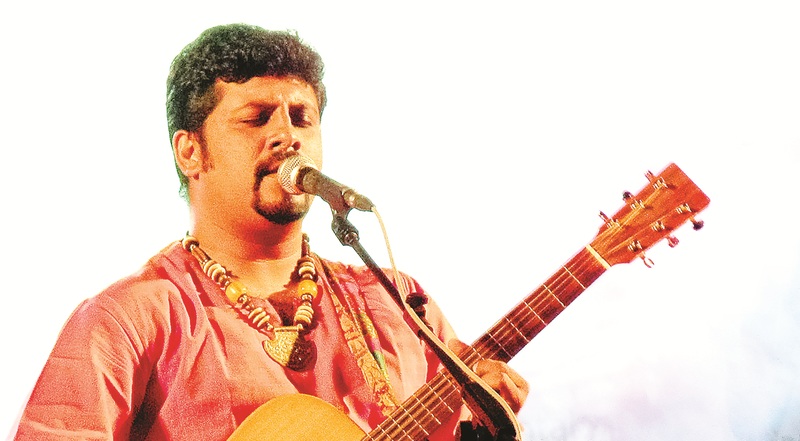 Adoor feels therea��s an energy and vibe in this city that is very encouraging. He says, a�?New ideas are welcome here and embraced. People are always looking to experiment with their experiences which is what gives unique startups an edge.a�? The company has big plans for the future. They just entered Hyderabad with a movie night and share that the response was encouraging. Come October 23, they will also make their presence felt in Pune with a food festival, and have their eyes firmly set on Mumbai for their next event. and glove puppets. 6 pm. At Seshadripuram. of lightweight materials these are available in bold shapes. `995 upwards. At Indiranagar.